Smith took the ball and dribbled back towards halfcourt with a few seconds left instead of calling a timeout or going for a game-winning shot. And the Warriors went on to win 124-114 in overtime, despite a 51-point, eight-rebound, eight-assist showing from James. If Smith does something different here, such as setting up a shorter-range shot or even just calling a timeout, the Cavs weren’t certain to win, but their chances would have been a lot better. It sure seems like Smith thought they were up and just had to run out the clock. 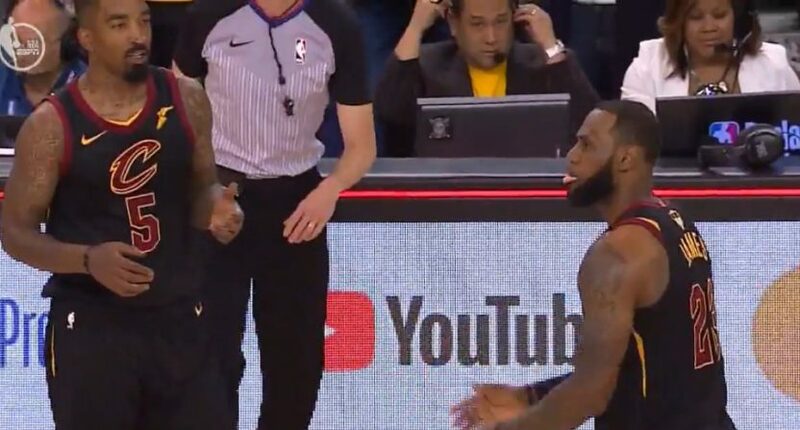 This was a great game, and one where Cleveland had tons of chances and where any number of moments could have turned it (including a previous charge call on Kevin Durant that turned into a controversial blocking foul on James upon replay review), so it’s not like this was the only spot where it swung. And this could have changed in other ways, such as if Cavs’ coach Ty Lue had called timeout himself. But with this Smith blunder coming at the end of regulation like this, and with the Cavs in such good position, it’s easy to think it’s one that will loom large in the memory.